An interview with Jo-an Smith, a multi-disciplinary artist and member of the Border Artists. Jo-an Smith at KRWG-FM studios. "Buried Treasure" - alcohol ink painting by Jo-an Smith. Las Cruces, NM – On this edition of PUENTES a la comunidad, bridges to the community, host Emily Guerra met with multi-disciplinary artist, Jo-an Smith to talk to us about her participation in the Border Artists’ benefit art show “What We Love.” A portion of proceeds from art sold at the show will help KRWG Public Media. She helped with the title of the show which reflects each artist’s choice of what they are currently making in the studio or a favorite piece from the past. 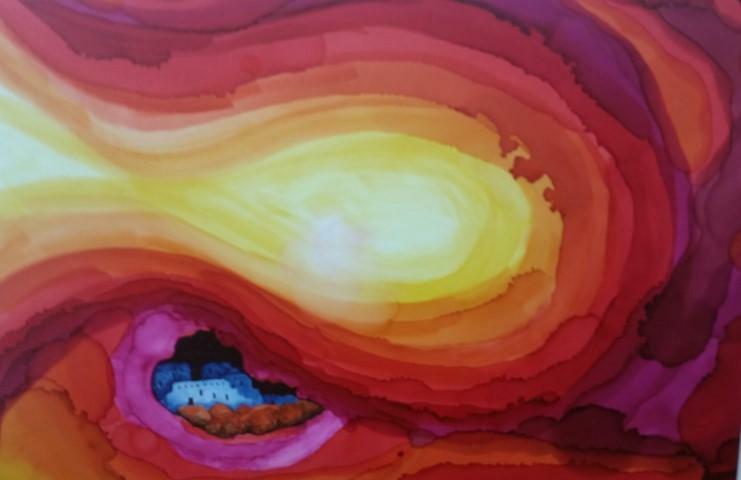 Smith will be presenting her current paintings using an alcohol ink process along with her gold and enamel jewelry. 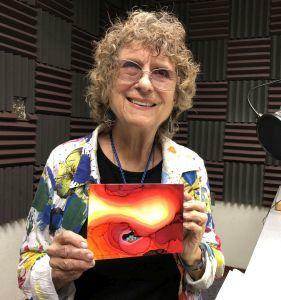 Las Cruces, NM – On this edition of PUENTES a la comunidad, bridges to the community, host Emily Guerra met with The Border Artists’ President, Tauna Cole-Dorn to talk to us about “What We Love,” a benefit art show. 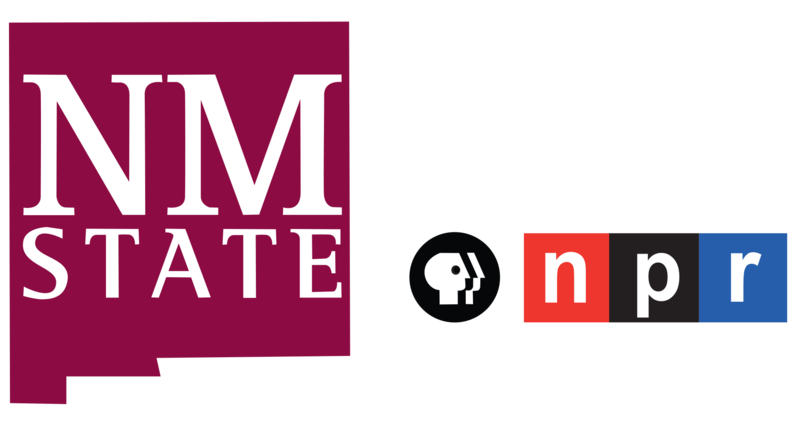 A portion of proceeds from art sold at the show will help KRWG Public Media. The title of the show reflects each artist’s choice of what they are currently making in the studio or a favorite piece from the past. The Border Artists are 20 artists working in the Southwest.